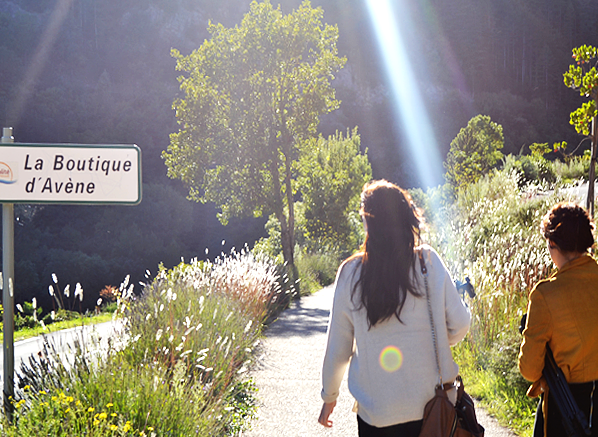 Have you been following our #DiscoverAvene journey on Instagram and Twitter? 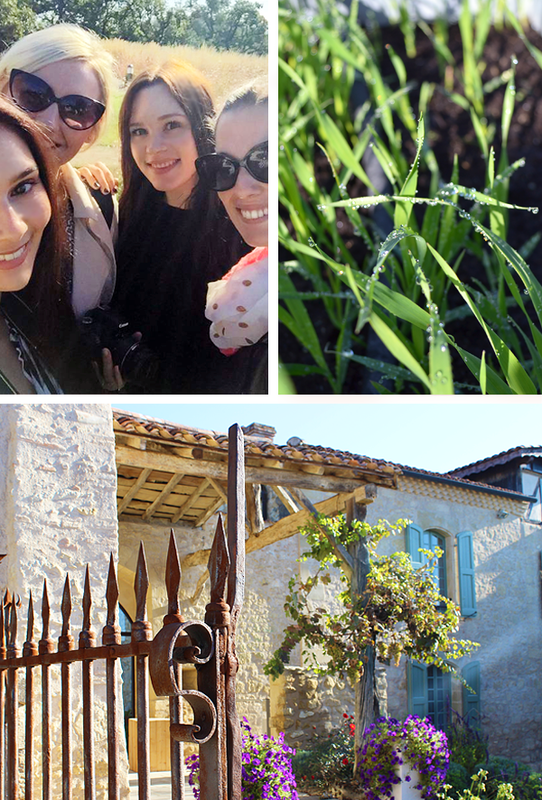 Well just in case you missed it, the Escentual beauty team were lucky enough to be invited across the pond to visit the beautiful French countryside and learn more about about pharmaceutical genius, Pierre Fabre: founder of Avene, Klorane, Rene Furterer and A-Derma. 6am starts aren’t usually a beauty team favourite but on this occasion, we couldn’t be more excited… because we were off to France! After the dreaded suitcase weigh in and multiple cups of black coffee, we had arrived in the picturesque city of Toulouse, also known as the pink city because its beautiful pink brick buildings. 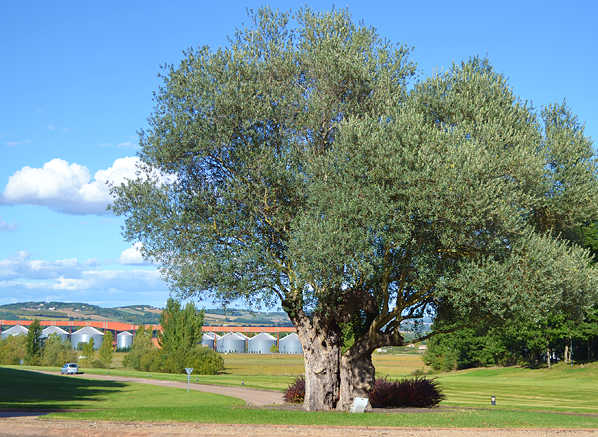 Following a scenic drive through the gorgeous green hills, we headed straight to Pierre Fabre’s HQ, Les Cauquillous, to dive straight in and get learning about the incredible PF brands. This is the official HQ for Klorane, A-Derma, Rene Furterer and Avene (as well as countless other brands, the list is endless!). 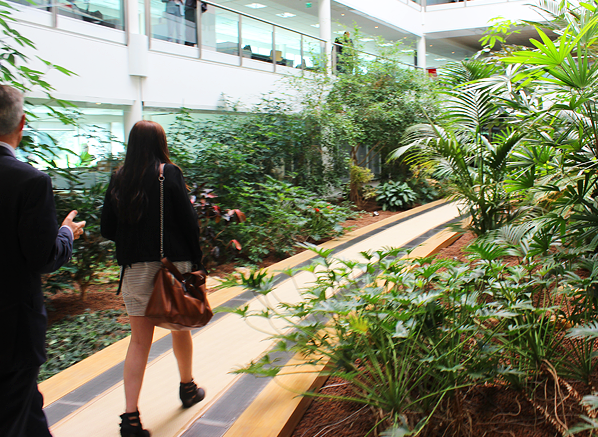 After being completely bowled over by the beauty of the location, I took myself on a mini tour around the building and I couldn’t believe my eyes. I later found out that its gardens all contain flowers that are featured in Klorane products, and I fell instantly in love with the heritage! You can completely sense Pierre’s love and passion for nature, inside and outside of his products. After finishing my mini adventure, our group was greeted by Eric Ducournau, the General Director of Pierre Fabre, and after plucking up the courage to shake his hand, he greeted us with a smile and took us on the tour of their working environment. How dreamy is this office? Next stop, The Camomile Room (all of the rooms are named after plant ingredients) to meet with Patrick, Mimi and Stéphaine. It was so incredible to hear all about their personal experiences with Pierre Fabre himself and their take on the history of the brand – they were so happy for the support from their customers and fellow staff. Mimi told us how important the local area was to Mr Fabre – so important, in fact, that he employed workers from the surrounding area to build Les Cauquillous. Once the build was complete, the workers presented him with an 850-year-old olive tree (something ancient to complement the modernity of the building) that now lives at the entrance to the complex. 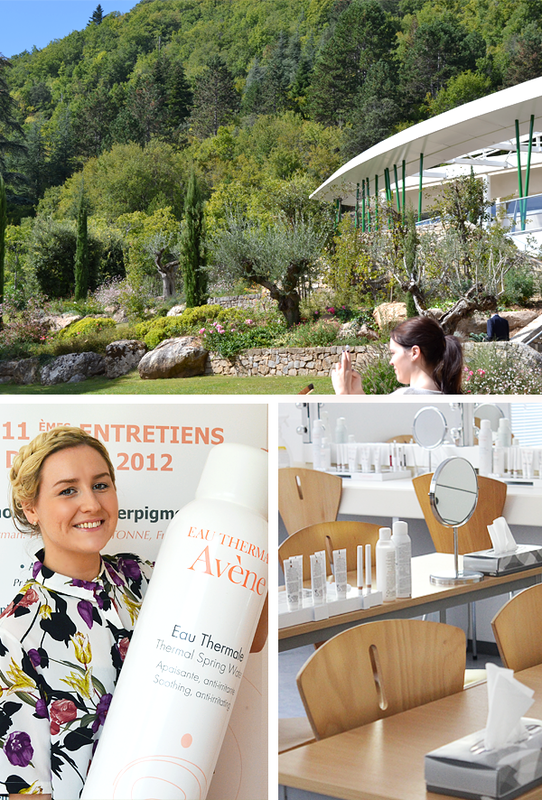 We were really excited to meet Sandra Saint-André, Marketing Director at Avene. We chatted for a while about her role and the importance of the thermal spring water for sensitive skin sufferers. It was so interesting to find out more the formation of this amazing water and her life at Pierre Fabre (keep an eye out for the full interview, coming soon!). Packed full of knowledge, we then finished the day at Hotel Des Beaux Arts, Toulouse. Somehow I pulled the lucky straw and bagged myself a balcony room. To make the most of the amazing views, myself, Emma and Ceryn sat up top and reflected on the amazing things we’d learnt then caught an early night ready for another hectic day. With another busy itinerary on the cards, we did a quick croissant dash and off we hopped on a special A-derma adventure, heading to where all of the plants are grown for their beautiful products. Here we met the wonderfully talented Miriam, who took us on an incredible journey of discovery of the precious A-Derma Rhealba oat. From plantlet to adult, we experienced everything from the baby seedlings sprouting to the final efficacy tests. We learnt a lot but my favourite little tid bit was that they monitor the healthiness of the A-Derma eco-system organic level by counting the number of bees in their hives – how cute? 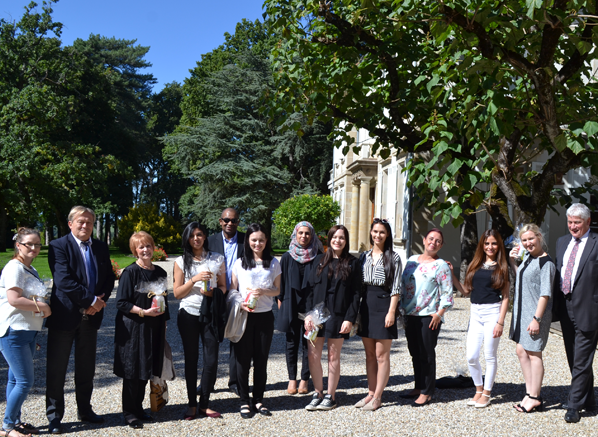 We were sad to leave the A-Derma HQ but duty called – it was time to get back on the road and head over to La Carla, Mr Fabre’s mansion and the place where many of the company’s most important meetings are still held. 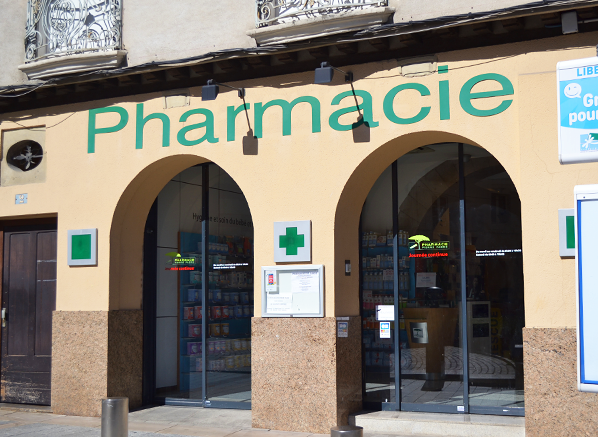 On route we were lucky enough to spot the first Pierre Fabre pharmacy in the heart of Castres. It was amazing to see how his journey of French pharmacy magic began! As we headed up to the mansion, it was like a scene from Twilight: sky scraping trees covered the land, while luscious greenery covered the mountains with a gorgeous patchwork quilt. We could understand why he did a lot of his office work here! Patrick told us this was Pierre’s favourite place to get inspired. After all of the learning, eating and drinking. 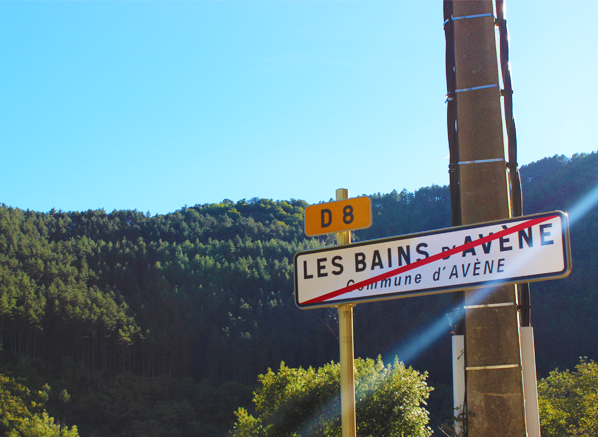 It was time to travel to our final destination of Avene. We (understandably) took the scenic route, which was absolutely beautiful with hills and valleys as far as the eye could see. The sun had his hat on for the final day, and everyone was excited to see what we’d all been waiting for: the Avene Hydrotherapy Centre. To give a bit of background, This is where eczema, psoriasis and post cancer treatment patients travel from all over the world to experience the benefits of the unique Avene Thermale spring water. 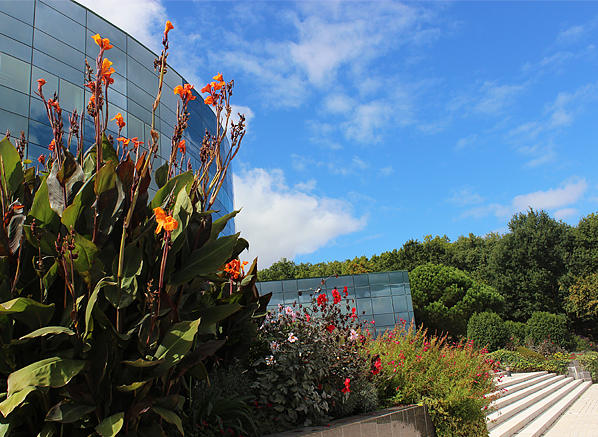 The centre is even prescribed as a treatment method by doctors in France. Since 1975, the Avene Hydrothreapy centre has been helping to soothe and clear atopic skin concerns for patients of all ages and skincare concerns. Our final day started with an inspirational talk from the lovely Françoise, who told us all about the history of Avene thermalisation. It turns out the spring water was discovered by the owner of a poorly horse who he abandoned into the wild due to an incurable skin disorder. The ill horse then returned to his owner as fit as a fiddle after it turns out he’d been rolling around in the Avene Thermal Spring Water. 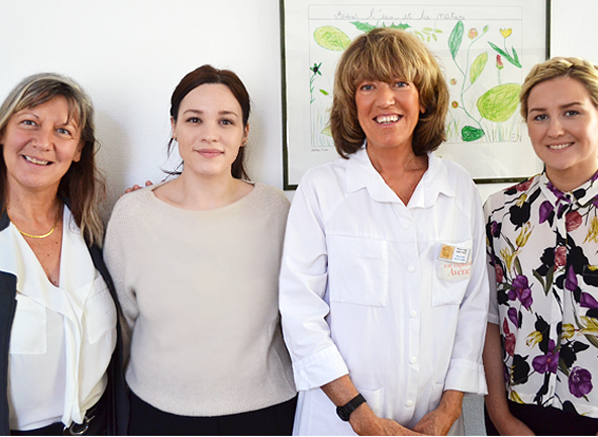 Me and the team then went straight on to meet with Marie-Ange Martincic, the director of this life changing centre, she has over 20 years of nothing but love for Avene and the 2,800 patients they meet every year – very inspiring lady! With lots more to learn, We swiftly moved on to the factory tour, here we saw the complete backstage process of the Avene product development. From how the Avene spring water is bottled to the shipping of the finished product. Did you know the Avene can doesn’t see the light of day until you spray it? After another gorgeous lunch (can you tell I love food? ), it was the moment we’d all been waiting for! It was time to get into our Avene robes and experience the Hydrotherapy Treatment for ourselves! The lovely assistant opened the door of each separate treatment room and showed us around. The jets were on and without any hesitation I leapt on in to my bath. The treatment consists of 20 minutes of bathing in lukewarm bubbles of soothing spring water and I couldn’t believe the suppleness of my skin when I got out! We then moved onto the second part of the treatment, a treatment shower. Picture jets all over your skin, lightly spritzing the uber soft water all over your body. It’s safe to say my panda eyes were on full show. We laid back in the relaxation room for a few moments then headed over to the post-treatment workshop to discover how patients are taught to care for eczema, psoriasis and burns once they leave the centre. The amazing assistants teach the patients everything they need to know on how to conceal and correct their skin, as well as how to stop scratching. They really do offer an amazing package to help boost their patients’ confidence and knowledge. It was a really uplifting experience. Then on to the last supper (with plenty champagne, of course!). As well as opening my eyes to the incredible work that goes on behind Avene, A-derma and Klorane’s doors, we met a fabulous group of like minded skincare enthusiasts with a passion for honest and natural products. As you can probably tell, we didn’t want to leave this amazing place – our fingers are crossed we’ll be able visit again in the future! This entry was posted on Tuesday, October 6th, 2015 at 1:36 pm and is filed under French Pharmacy, Skincare. You can follow any responses to this entry through the RSS 2.0 feed. You can skip to the end and leave a response. Pinging is currently not allowed. What a brilliant experience! Thank you so much for sharing. The scenery is amazing, too.